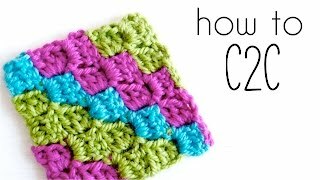 I found an awesome C2C Crochet Tutorial on You Tube called, “How to crochet C2C – Corner to Corner Tutorial” by Crochet Lovers”. It is a 15 minute video that slowly shows you each step of C2C crocheting. I can’t wait to give it a try.